Adam John Hart-Davis (born 4 July 1943) is an English scientist, author, photographer, historian and broadcaster, well known in the UK for presenting the BBC television series Local Heroes and What the Romans Did for Us, the latter spawning several spin-off series involving the Victorians, the Tudors, the Stuarts and the Ancients. He was also a co-presenter of Tomorrow's World, and presented Science Shack. Currently he presents How London Was Built and Just Another Day on History UK. Hart-Davis was born and brought up in Henley-on-Thames, the youngest child of the publisher Sir Rupert Hart-Davis (1907–1999) and his second wife, Catherine Comfort Borden-Turner. He was educated at St Andrew's Preparatory School, near Pangbourne, and then at Eton College, before studying chemistry at Merton College, Oxford. He then took a Ph.D. degree in organometallic chemistry at the University of York and spent three years as a post-doctoral scholar at the University of Alberta in Canada. Subsequently, he worked at the Oxford University Press, editing science texts and chess manuals. In 2004 he was awarded an honorary degree (Doctor of Letters) from the University of Bath. He was married to Adrienne Alpin (m. 1965–1995), with whom he had two sons, Damon and Jason Hart-Davis, and now lives with psychologist Dr. Susan Blackmore, whom he married on 19 June 2010. His siblings are the journalist Duff Hart-Davis and Bridget, the dowager Lady Silsoe. He is an uncle of the journalist Alice Hart-Davis and IT author Guy Hart-Davis (father of Edward Hart-Davis), and also of Christopher Farren, son of Adrienne's sister Penny. Hart-Davis is a descendant of King William IV and his mistress Dorothea Jordan and is therefore a fifth cousin once removed of Elizabeth II, a second cousin once removed of the former British Prime Minister David Cameron, and a first cousin once removed of the historian John Julius Norwich. Hart-Davis's work in broadcasting began in 1977 when he joined Yorkshire Television (YTV) as a researcher, working on material for Magnus Pyke, David Bellamy, Miriam Stoppard as well as Arthur C. Clarke's Mysterious World. In 1985 he was promoted to production work, producing the Fred Harris-fronted TV show Me & My Micro and the Johnny Ball-fronted Fun & Games, amongst other things. He also devised and produced the school science show Scientific Eye. In the early 1990s Hart-Davis moved in front of the camera to present two series for YTV: On The Edge and Local Heroes. The latter programme featured him cycling around the North of England in his trademark fluorescent pink and yellow cycling clothes, seeking out places associated with the great innovators of science and technology. The bicycles were his own, as he is a keen cyclist, owning an early Burrows Windcheetah as well as a mountain bike fitted with an early front monoblade. This series was transferred to BBC2, where its scope became national, a different region being the subject of each episode. Big Questions , a five-part Channel 4 science series for young people that he presented received a BAFTA nomination in 2002. A new television series for the BBC called 'The Cosmos – A Beginner's Guide was broadcast on 7 August 2007 by BBC Two, and explored the latest ideas and experiments in cosmology. It was accompanied by a book of the same name. He also appeared in TV advertisements for HM Revenue & Customs with the catchphrase "tax doesn't have to be taxing". Following a statement from Hart-Davis, in which he mentioned the level of complexities within the UK tax system, his contract with HM Revenue & Customs ended. 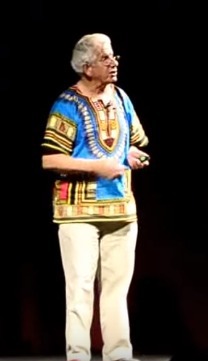 Hart-Davis has a passion for raising awareness of simple benefits that science may bring to the quality of living, particularly in the developing world. One such innovation is the design of smoke-hoods from galvanised iron or mud to prevent the deadly effects of smoke inhalation from cooking fires inside houses in the developing world. He is the Patron of the FatallyFlawed campaign against the use of plug-in socket covers. He is also Patron of Erasmus Darwin House in Lichfield, the eighteenth-century home of Charles Darwin's grandfather, now a museum open to the public. He has written many books, including a history of the toilet, entitled Thunder, Flush and Thomas Crapper, and Taking The Piss (A Potted History of Pee). Eurekaaargh!! A spectacular collection of inventions that nearly worked. Past Times edition published 1999. The Book of Time, 2010. ^ His father had previously been married to the actress Peggy Ashcroft. ^ Levens, R.G.C., ed. (1964). Merton College Register 1900-1964. Oxford: Basil Blackwell. p. 541. 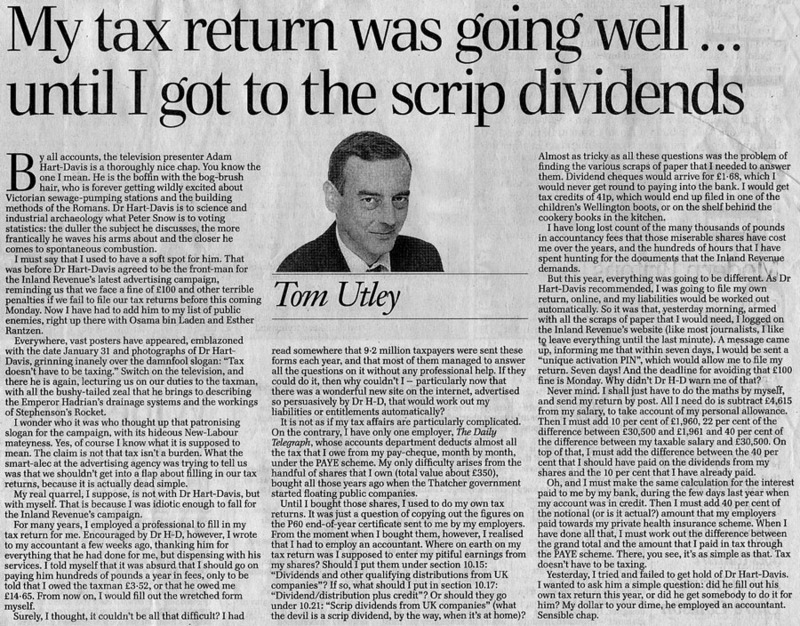 ^ "My tax return was going well..." Archived from the original on 24 July 2011. Retrieved 17 February 2009. ^ "FatallyFlawed website". Retrieved 16 September 2012. Adam's biography at "Speakers UK"
"BBC – Press Office – Adam Hart Davis". web.archive.org. Archived from the original on 4 April 2008. Retrieved 18 February 2010.